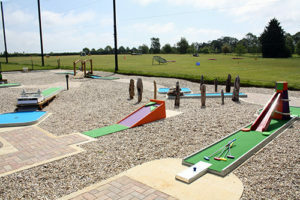 We have a brand new, fun 9-hole Crazy Golf course at Fakenham Fairways. 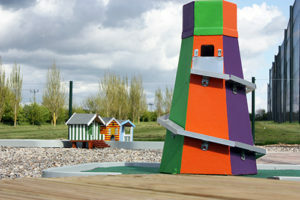 The course is Norfolk themed, allowing you to putt your way from Hunstanton to Cromer via iconic local landmarks, including Sea Henge at Holme, the brightly coloured beach huts of Wells-next-the-Sea, Cley windmill and Cromer Pier. 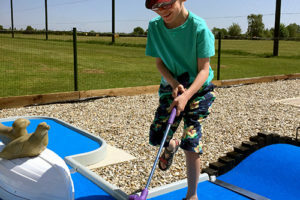 Perfect for family groups of all ages and abilities, our Crazy Golf course is an ideal way to while away some time in the fresh Norfolk air. There is no dress code and all equipment is supplied. Once round: £3.50 Adults, £3 Under 12s. Under 12s must be accompanied.